jeez its only 5000 and its this big?? Version Two of the Gaui X3 for RealFlight now available! Nano CPX Brushless Upgrade Finally Arrived! Its here!!! Got the motor installed already but I'm keeping the ESC put away until I get my board back from MegasMicros. Gotta love the Gaui X3! It's finally here! The long awaited Gaui X3 for RealFlight 6.5 and RealFlight 7! 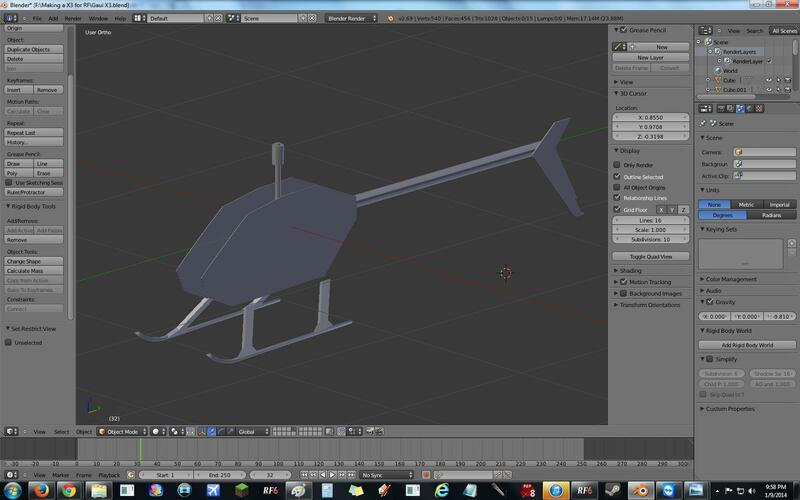 This heli was modeled and tuned from the ground up to be a total smack machine! With an incredibly high power 6s power system and a specifically tuned VBAR this heli is an absolute joy to fly both in real life and in RealFlight! Months of work have gone into this model, and it wouldn't have been possible without Anthony Donzella. Canopy can fall off with the CH.6 Knob, turn it all the way to the right. Headspeed is 2700 in normal mode, 3000 in stunt 1, and 3200 in stunt 2. Gaui Hurricane 550 Still Rocks! Maiden Flight of my Hurricane 550! This Hurricane makes the X3 look like a 250! Added Battery, Tail Boom Supports, Tail Pushrod, Tail Pushrod Support, Battery Tray, ESC Tray, Lower Bearing Block, Motor Mount, and Washout Arms. Still have a long way to go, but I'm really liking it so far! Blade grips, canopy, and tail grips are gonna raise my Poly Count a lot. Starting to be a heli now!